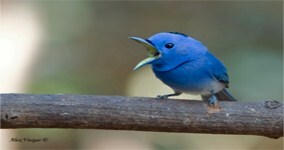 Twitter is ever evolving, and this week, the short blogging service is adding personalized notifications and alerts. This new functionality is based on the @magicrecs. Launching soon for Android and iPhone, Twitter will send push notifications with follow recommendations. The notifications can be turned on and off via the settings. In addition to personalized recommendations, Twitter is giving the ability to certain accounts to transmit emergency alerts to those that follow them. The account will have the option of marking a tweet as “critical”. “In addition to getting distributed directly to your subscribers’ phones, Twitter Alerts are designed to draw attention, standing out from other Tweets on your followers’ Timelines and across twitter.com and the Twitter mobile apps. ” via the Twitter Alerts website. Check out the list of Participating Organizations. You’ll need to be logged into Twitter and opt-in with a text message to the corresponding organization. What do you think about the new Twitter Alerts? I’m really excited about it! Just another reason Twitter is making your life better!